Ashwagandha (Withania somnifera) is perhaps the most well known Ayurvedic herb in the US after turmeric and moringa. We have written about the benefits of turmeric and moringa for new moms in the past, but Ashwagandha is an absolute rock-star of Ayurvedic herbs which has some amazing benefits for fertility and postpartum. For women, Ashwagandha root can be especially beneficial during conception, pregnancy and postpartum. Let's look at its benefits in each phase. Ashwagandha's ability to reduce stress helps in supporting women's reproductive system. Stress can play an important role in regulating female hormones, since the stress hormone cortisol can reduce progesterone levels and negatively impact fertility and healthy menstruation cycles. By reducing cortisol levels, enhancing production and flow of blood, and reducing body tension, Ashwagandha has a positive effect on reproductive system, libido and menstrual cycles. With all these benefits, It is not a surprise that studies have found Ashwagandha to increase fertility in women. Ashwagandha has traditionally been used during pregnancy in Ayurvedic practice. It is believed to give strength and vitality to the mother and the fetus, when taken in controlled portions (Ayurveda recommends 1/2 tsp per day). 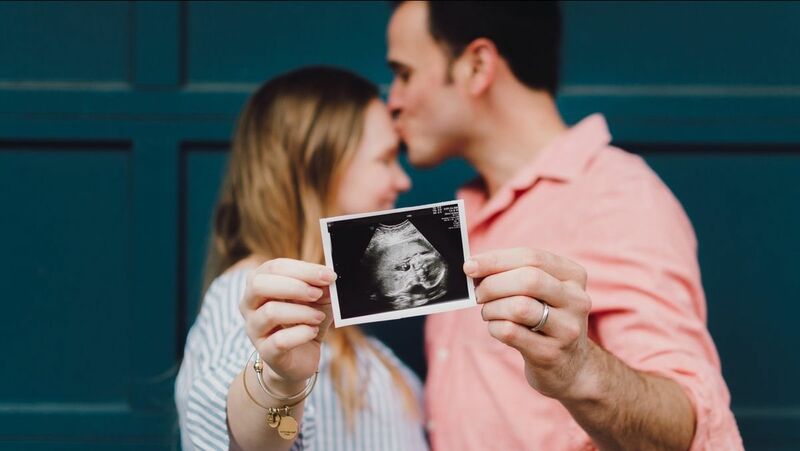 However there are varied opinions on its use during pregnancy due to its ability to induce abortion in animals when given in very large doses. It is best to consult your OB/GYN if you are pregnant and considering consuming Ashwagandha. Ashwagandha root has several beneficial properties for postpartum and breastfeeding mothers which warrant making it a staple. Reduces stress and anxiety: Being a new mother can be overwhelming, and stress/anxiety are very common in the postpartum period. Ashwagandha's ability to balance cortisol (stress inducing hormone) helps in reducing stress and anxiety and bring in a little calm. Restful sleeping: A full nights sleep can be a distant dream in the first few months as a new mom. However, ashwagandha can help if you are having trouble falling asleep after getting up at night for feeding or sleeping the baby. Rebuilds strength and vitality: Ashwagandha root has been used to promote strength, energy and vitality, which is why it has long been used as a restorative. These properties can be very useful for new mothers in regaining their strength, maintaining energy levels during the day and avoiding fatigue. Immunity booster: Ashwagandha's antioxidant, anti-inflammatory and stress reducing properties also make it a natural immunity booster which can give a much needed support to the new mother's weakened immune system. Increase milk production: Ashwagandha has been used in Ayurveda to boost milk production since long, which is likely to be a side benefit of lower stress levels. High stress and anxiety can have negative impacts on milk supply indirectly since the mother may not be eating right or drinking enough water or not nursing frequently because of it. Note that ashwagandha balances and strengthens the body over time and with regular use. While it is a potent herb with real benefits, it may take a few days before you start noticing them. 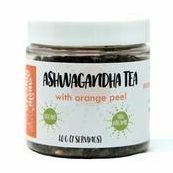 Women trying to conceive and new mothers may consume 1/4 to 1 tsp Ashwagandha powder daily. This is slightly less than typical dosage of 1-2 tsp for a healthy adult. Like any other herb, it is best to start with a smaller amount and increase slowly. 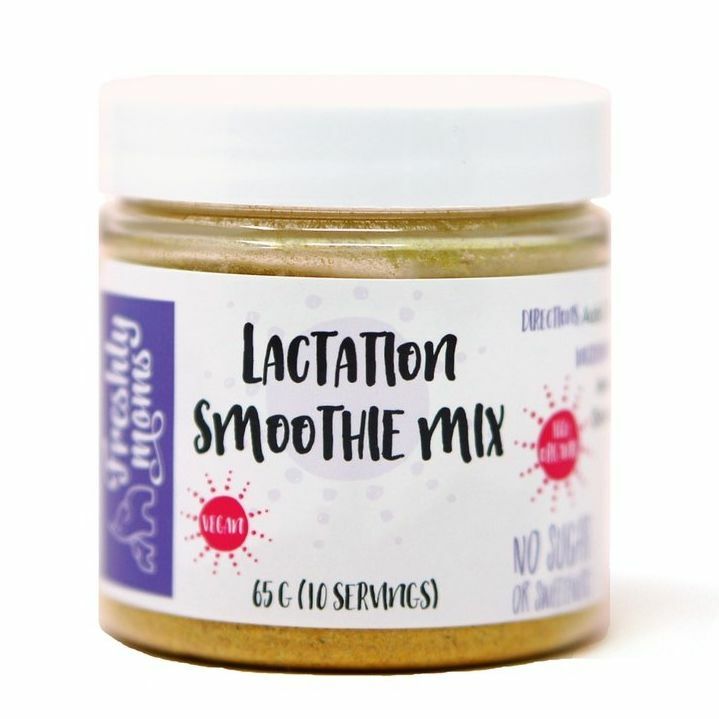 Our Lactation Smoothie Mix contain less than 1/3 tsp Ashwagandha per serving, which works perfectly in tandem with other ingredients to support breastfeeding and stress relief in new moms. Ashwagandha root powder has traditionally been consumed by mixing it with equal parts ghee and honey, and a pinch of cardamom powder. It can also be can be mixed with warm water or milk and honey and consumed before bedtime to promote restful sleep. The versatile powder can even be added to smoothies, coffee, food or anything else you like. There are several supplement pills available too if you prefer that route. Ashwagandha powder or cut root can also be had as a tea with some honey. Freshly Moms Ashwagandha Tea is a blend of ashwagandha root, nettle leaf and raspberry leaves which function together to support healthy lactation, hormonal balance and sense of well-being. Ashwagandha's numerous benefits makes it an excellent herb for fertility and postpartum recovery. Regular consumption in limited quantity can help alleviate stress, boost immunity, regulate hormones, improve sleep quality, and rebuild strength. For using it during pregnancy, it is best to consult your doctor. Ashwagandha root is an adaptogenic super herb which helps keep stress at bay and has restorative benefits. We have blended it with nettle leaves and raspberry leaves which support healthy lactation and hormonal balance, making it a perfect postnatal tea. For the smoothie lover moms, this 100% organic and nourishing mix will power up your day and get the milk flowing. Made with 100% organic ingredients traditionally used to support healthy lactation, this mix contains no sugar or artificial sweetener, giving you the freedom to use your favorite smoothie flavors. Simon, David and Deepak Chopra. The Chopra Center Herbal Handbook. Three Rivers Press, New York; 2000. 200-202. Shruti is the founder of Freshly Moms. She is a graduate from Natural Gourmet Institute, NY and a certified IIN Nutritionist. She has been working with food & nutrition since 8 years and is also a fresh mom herself.